One of my favorite places to shop for super stylish sunglasses at really good prices is Nordstrom. If you know what I mean, then you are a BP sunglasses shopper too. They have such a good selection and they range from $12-$24. A couple months ago I got these Chloe-inspired round sunnies in blush pink and during my Nordstrom Annual Sale shopping spree I also found them in black! So obsessed. I couldn't find the exact ones but I linked very similar ones below. And they are only $12. I paid $24 for my blush pink ones and $14 for the white and black ones in this picture. 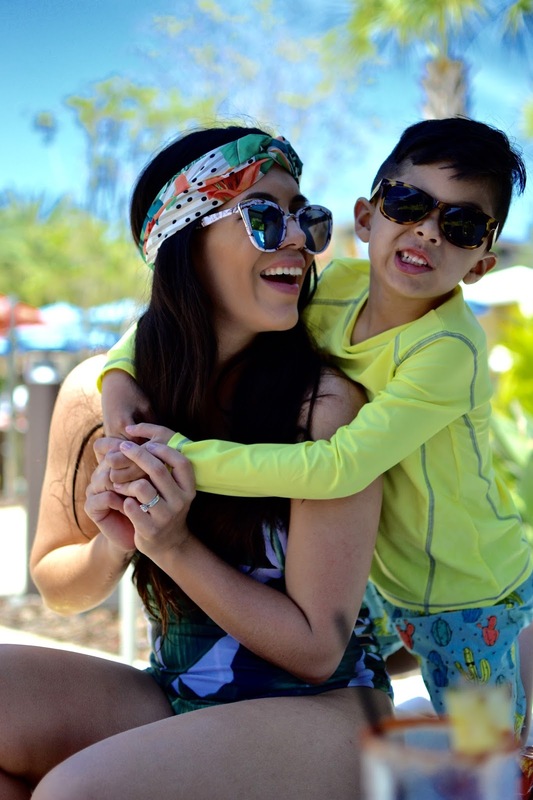 Sunglasses are such an easy accessory to wear that will take your outfit to the next level. 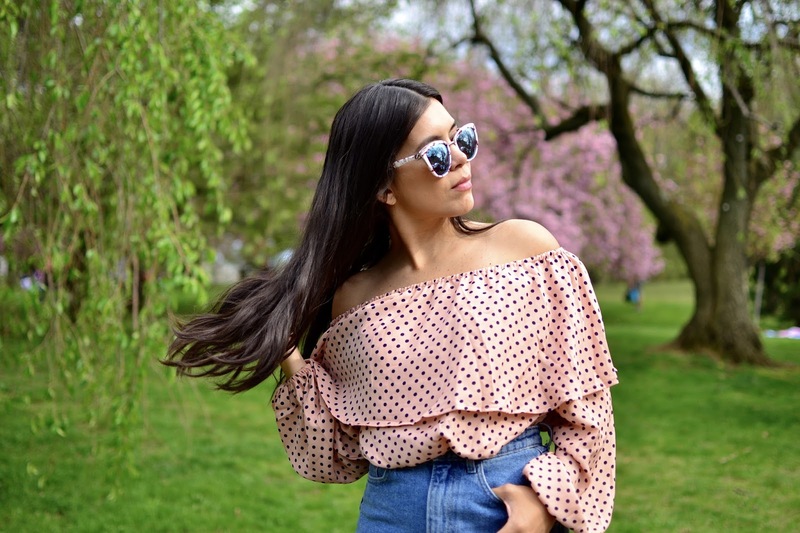 I personally love that I can own fun sunnies in different styles and colors that spruce up my #ootd anyway They give and instant cool factor to any look; casual or dressy. Above you can see me wearing 4 of my favorite styles right now. They are on rotation around here and below I linked them so you can check them out. Sending you love and positive vibes on this gloomy Tuesday, xo.